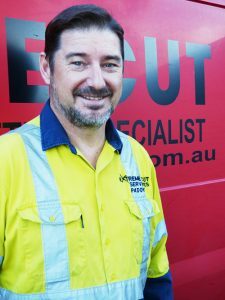 Extreme Cut Services is the vision of owner/operator Paddy Brosnan. Paddy has over 35 years’ experience in mechanical engineering and has worked in the manufacturing and construction industries in Australia, the USA and the UK. He has a reputation for thinking ‘outside the square’ and time and again has come up with efficient, innovative and cost effective solutions for even the most difficult jobs.